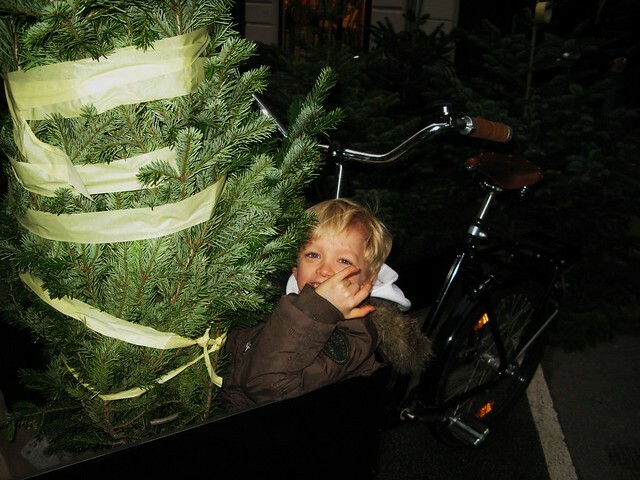 Lulu and I were on the spot when one of her teachers, Heidi, was buying her tree and taking it home. 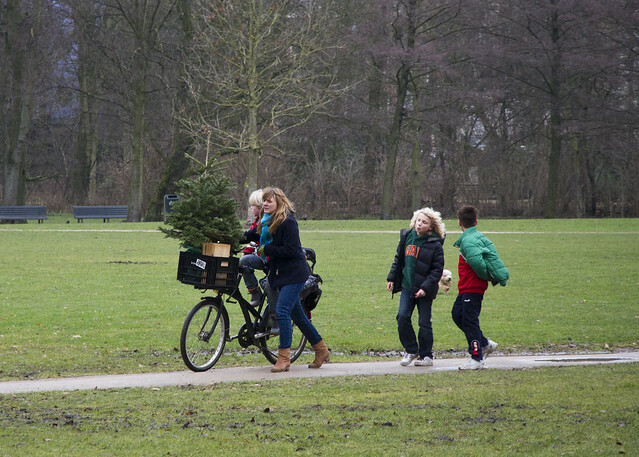 She borrowed one of the many bike trailers at the school to do so. 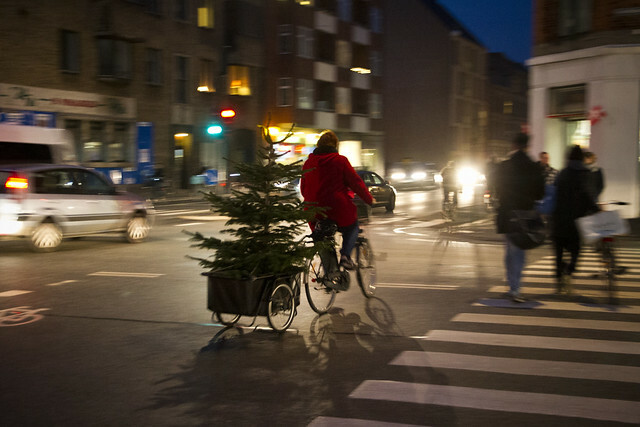 Standing nice and tall in the Copenhagen evening. Typical. 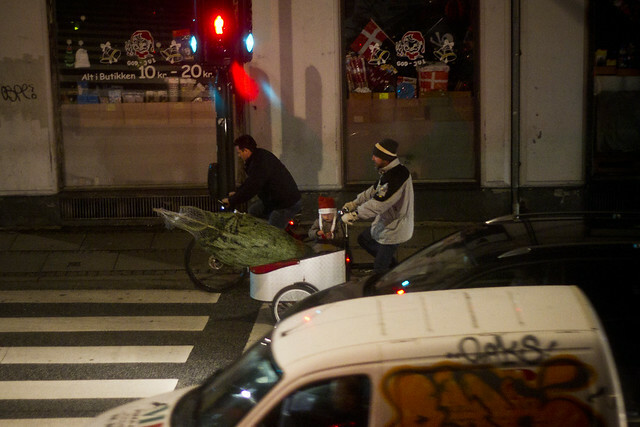 Write a blog post and then two bikes with christmas trees roll past your window. So here's an update. 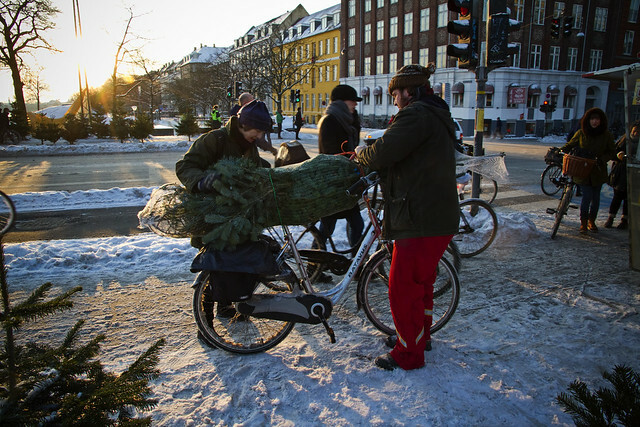 Above: Sorte Jernhest cargo bike, complete with tree and kid wearing an elf hat heading home in the evening. Fantastic. 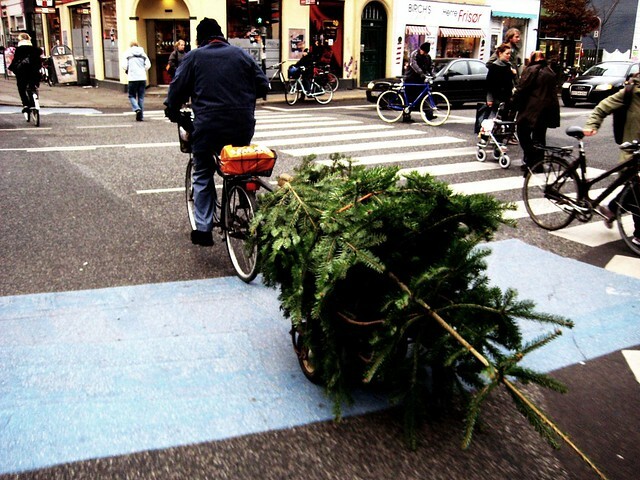 This lady rolled past my window pulling her tree on a trailer. 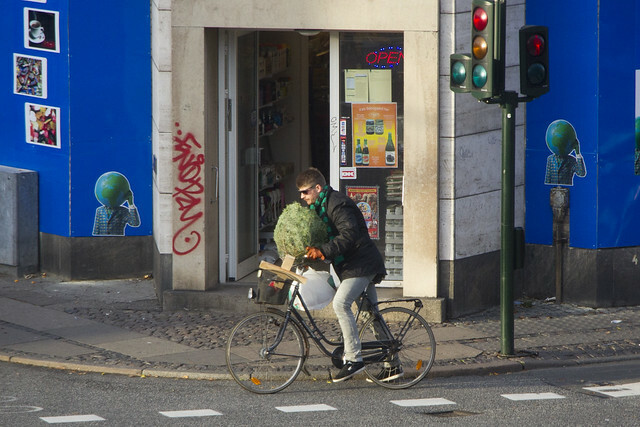 Getting close to Jul here in Copenhagen. 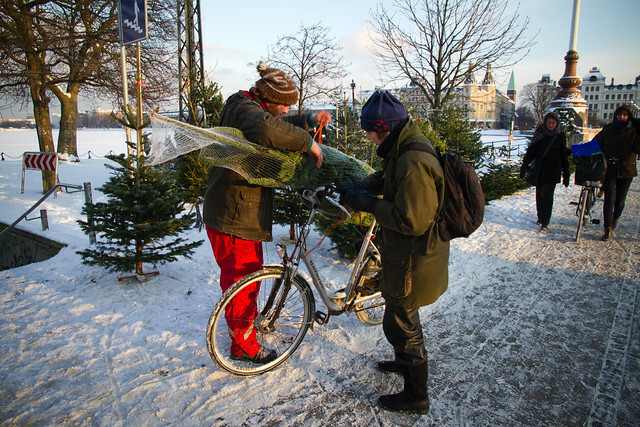 Christmas tree sellers are occupying squares all around the city. 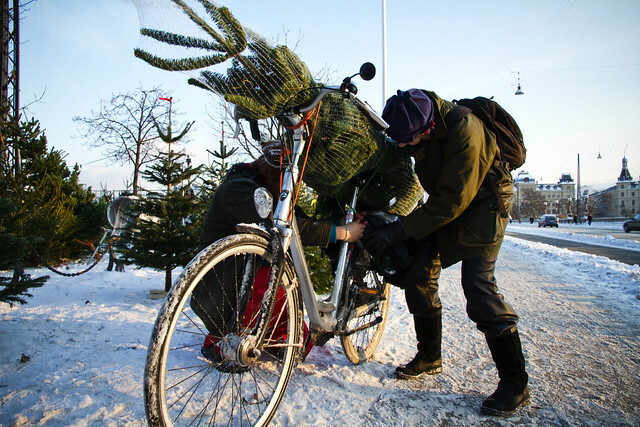 Many people use their bicycles to get the tree home. 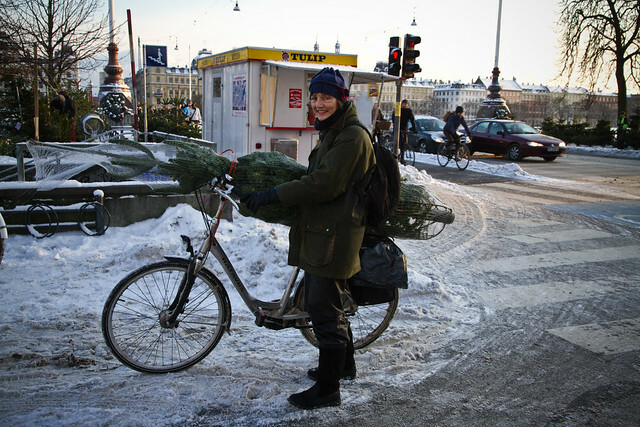 Here's a collection of the shots we have of people moving their trees home by bike. 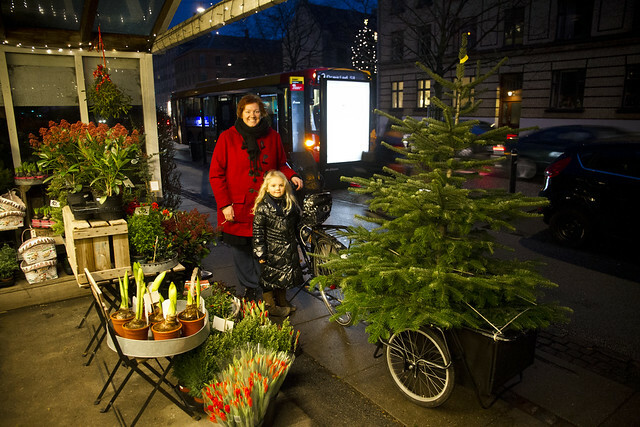 This lady had just bought a jule tree and the seller was helping her strap it to her bicycle. It took some work and discussion but they finally succeeded. 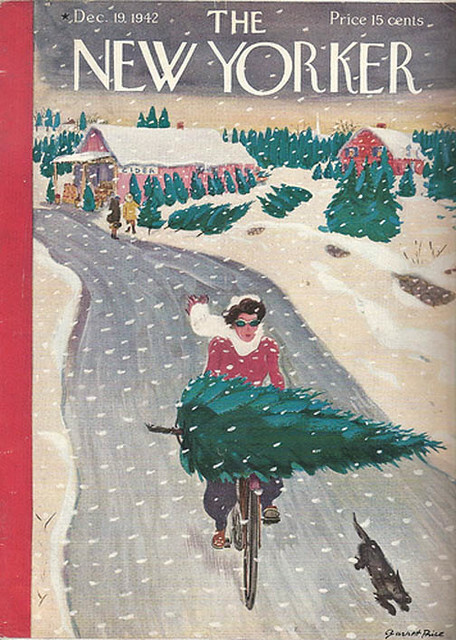 She didn't have far to go, so she walked her bike with the tree attached. 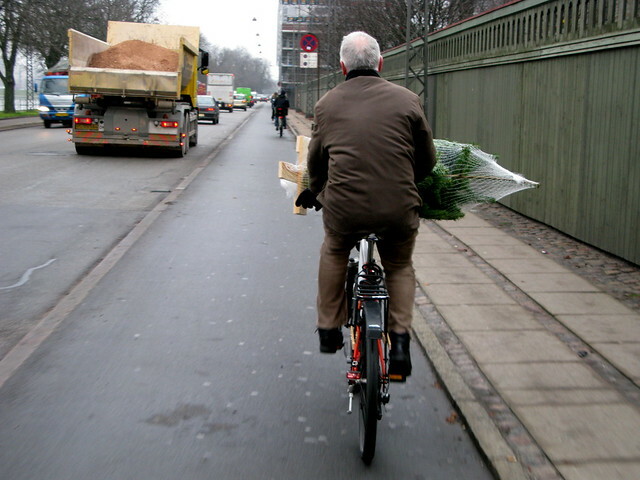 This gent was followed by two kids and his wife on bikes behind him on the cycle track. 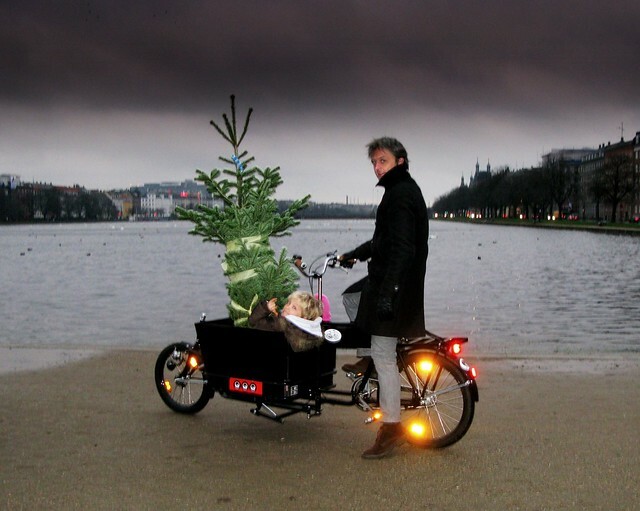 Heading home with the family tree. 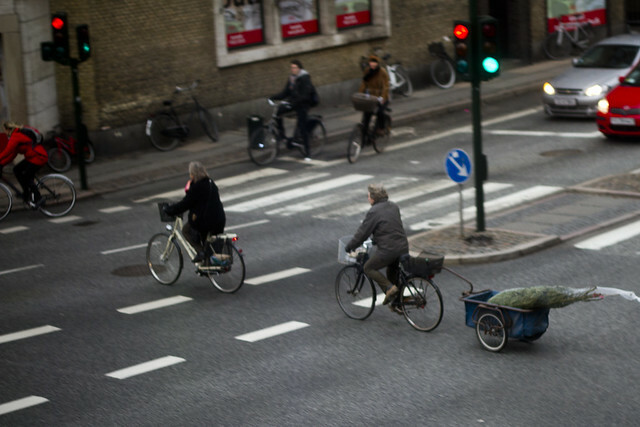 You don't see many bicycle trailers in Copenhagen, but sometimes they do come in handy. 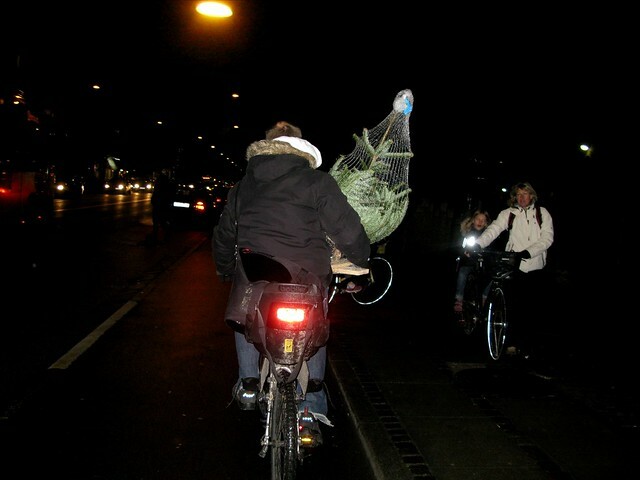 Here's me and the kids a couple of years ago when we had a Longjohn to get around. 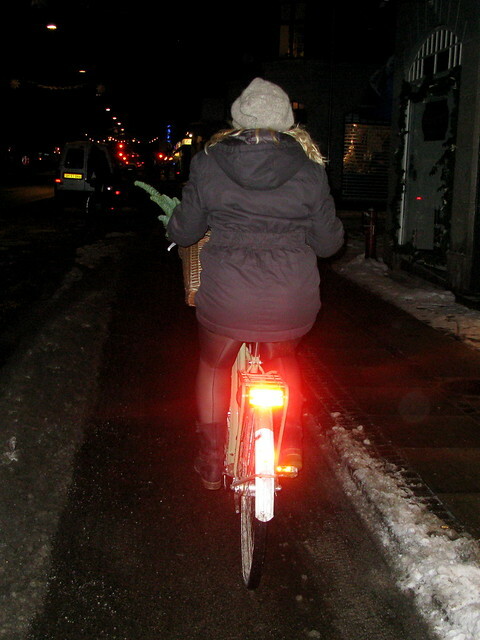 It was a squeeze, but the kids love a squeeze. They had a ball. 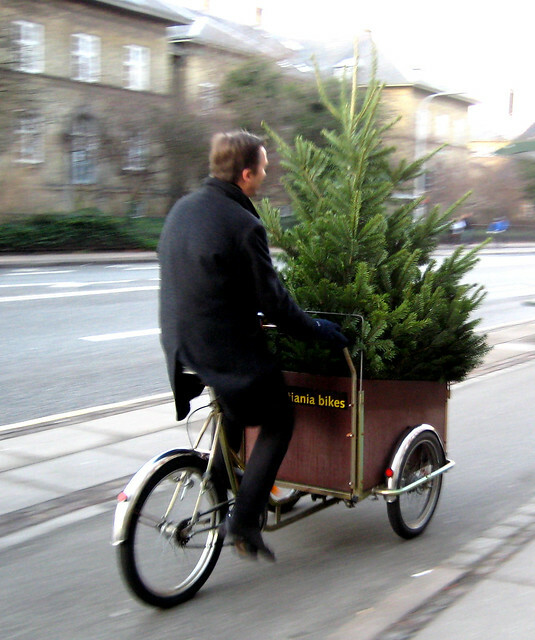 Smaller trees need no more than a bicycle to transport them.